The city of Philadelphia is famous for many things: the Liberty Bell, Rocky, unruly fans, booing Santa Claus, Philadelphia Cream Cheese and Philly steak sandwiches. Move over — the Eagles are now the center of attention in the east after using power-muscle and Nick at Night to deny the Patriots their record-tying sixth Super Bowl. The Eagles beat the Patriots 41-33 in Super Bowl LII, avenging a 24-21 Patriots victory in 2004’s Super Bowl XXXIX in one of the most entertaining, exciting and competitive championship games ever. Quarterback Nick Foles out-dueled NFL MVP Tom Brady by throwing for 373 yards and three TDs and, yes, grabbing a touchdown pass. He is headed to Disney World and likely free agency. He was selected the game’s MVP. The Patriots and Eagles put on a video-like performance in one of the highest scoring Super Bowls ever. The Patriots are the first team to lose the Super Bowl and score 33 points. Brady is the ninth straight NFL MVP who played in the Super Bowl the same year to lose the Super Bowl since 1999. 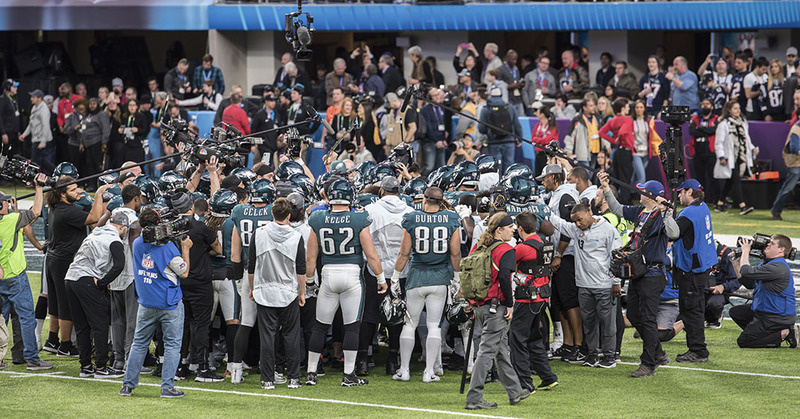 Philadelphia Head Coach Doug Pederson called an aggressive game plan from beginning to end. The Eagles’ versatile and effective running game kept the Patriots’ defense off balance. LaGarette Blount, the former Patriot, ran for 90 yards and a touchdown, and Jay Ajayi ran for 57 yards. The Eagles challenged the Patriots deep with Alshon Jeffrey, who made three catches for 73 yards including a 34-yard touchdown. The Patriots benched veteran starting cornerback Malcolm Butler, and it backfired. The Eagles’ passing attack was on point with Foles all day. The Eagles led 15-3 early in the second quarter, but Brady and the Patriots kept coming back. The Eagles led 22-12 at halftime, yet the Patriots were 4-0 in the playoffs in games after trailing by 10 points are more. The Eagles’ defense delivered the first blow of the game, knocking Patriots wide receiver Brandin Cooks out of the game with a vicious hit. The Eagles missed three extra points in the game, and the Patriots missed a field goal. 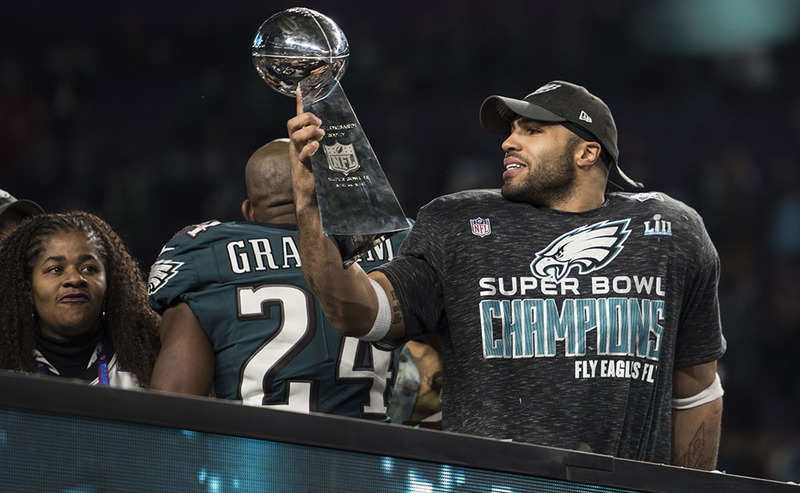 Seventeen records were set in Super Bowl LII; the Eagles and Patriots also combined to tie 12 other records. The Eagles stayed aggressive, going for it on fourth down and converting to sustain drives. Brady was brilliant, throwing for a Super Bowl-record 505 yards. He’s the first quarterback ever to lose while throwing for 500 yards, three TDs, and zero interceptions. 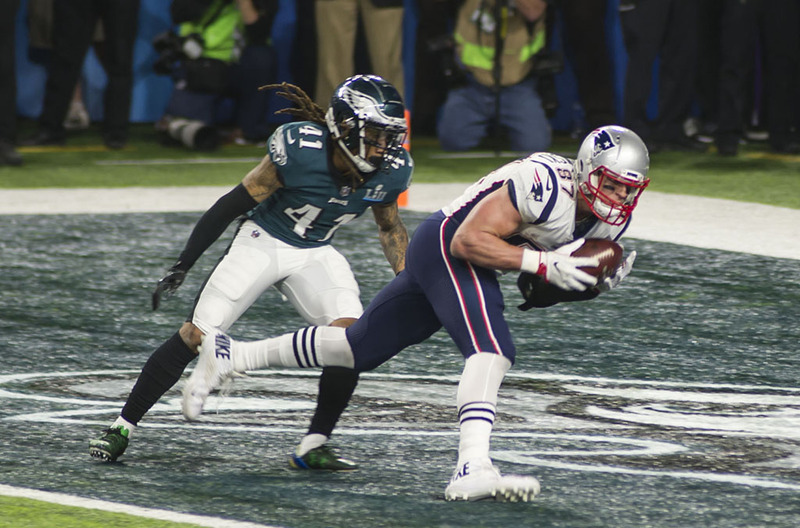 The Eagles, with just 3.03 left in the fourth quarter, lost the lead they enjoyed most of the game when Brady drove the Patriots to the go-ahead touchdown, 33-32, with a four-yard TD pass to Rob Gronkowski. Gronkowski had nine catches for 116 yards and two touchdowns. Foles showed the poise of a surgeon driving the Eagles to the go-ahead score on a 14-play drive, converting two fourth-down plays and hitting Zach Ertz for a touchdown, Eagles 38-Patriots 33. 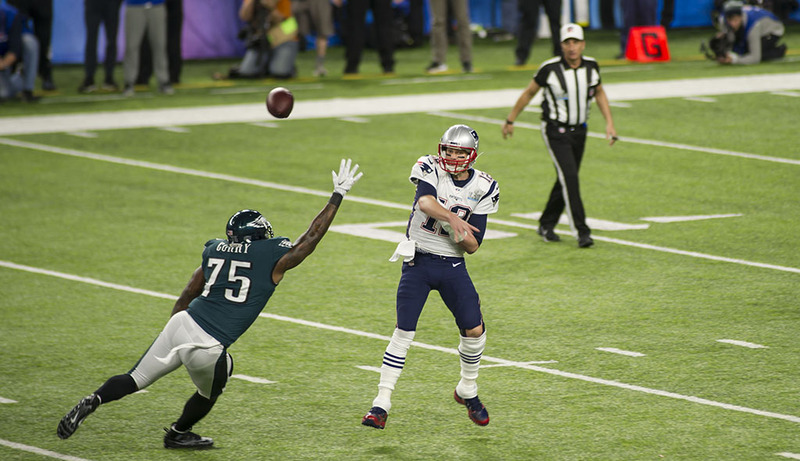 On the next drive the Eagles finally got to Brady. 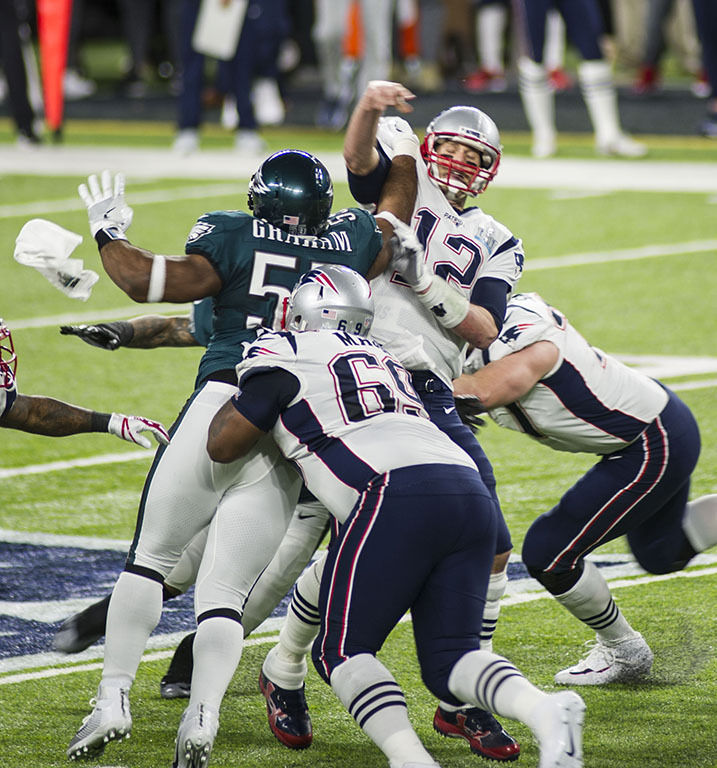 Brandon Graham beat Patriots right guard Shaq Mason to his right, sacked Brady, and forced a critical fumble that was recovered by Derek Barnett. The Eagles added a field goal to lead 41-33. Brady threw a deep ball to the end zone that was incomplete, and the Eagles win their first Super Bowl and their first championship since 1960. That’s 58 years. The Eagles join Dallas, New York and Washington as the only Division — the NFC East — where all four teams have won Super Bowls. Super Bowl LII was great theater for 67,612 fans at U.S. Bank Stadium. The two teams combined for the most yards in any game in NFL history, Eagles 538 and Patriots 613. NBC Sports grabbed record viewership numbers with 47.4/70 that peaked with a 52.2/74 in the fourth quarter. What does this do for the legacy of Belichick and Brady in their record eighth Super Bowl? It’s big to win Super Bowls, and it’s also big to lose them. Brady and Belichick are now 5-3 in Super Bowls. Minneapolis did a remarkable job hosting Super Bowl LII. It may have been the coldest Super Bowl Sunday outside, around three degrees, but inside U.S Bank Stadium history will say this was one of the best Super Bowls ever. See more photos from Super Bowl 52 below by Steve Floyd. Excellent! Please keep me informed of such informative Sports articles. 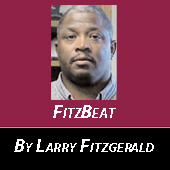 We’re glad you were in good health and spirits and able to cover your 37th Super Bowl, Larry!